Relationships are a big part of success. The Livstyle Visual Personality Portraits help you unlock their potential. 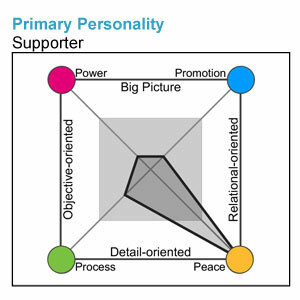 By comparing and contrasting your portraits to the portraits of the people you work with every day, you can create a comprehensive picture of the way your organization works best. Are there different ways you can present things that will resonate better with certain team members? What are the motivations that allow you to work better with some people than others? Are you unsure how a new employee will fit in with a team? 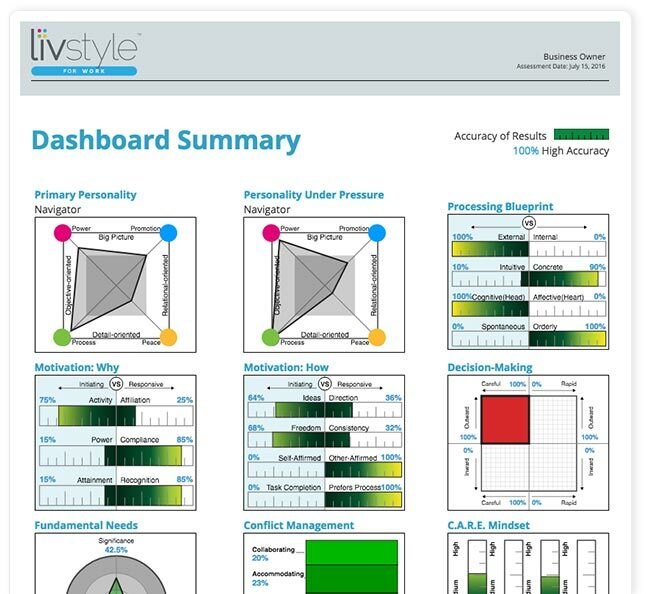 Livstyle answers all these questions – and more - with a single assessment. Here’s a look at everything your Livstyle Visual Personality Portrait will tell you. Sure, you know what your personality is like under ideal work conditions, but what about when the deadlines are approaching? 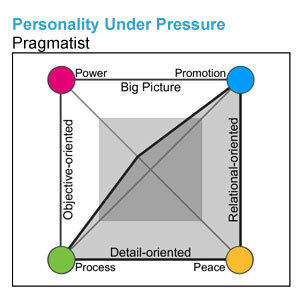 Your Visual Personality Portrait shows how your personality shifts during periods of stress, giving you valuable insight into how you, and your team, will manage a large project or tight deadline. If everyone we worked with processed the same piece of information in the same exact way, it would be a lot easier to keep everyone on the same page. 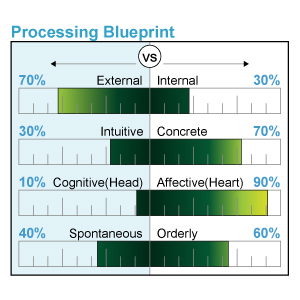 You are a team of individuals, not robots, and you process information differently. How you process new information gives you the ability to talk about the process, better understand how co-workers might be thinking about the new information, and come to a decision in a faster, more effective way. Why: Why do you do what you do? Are you excited about tackling a problem, or are you more excited about getting a chance to work with your team on a solution? 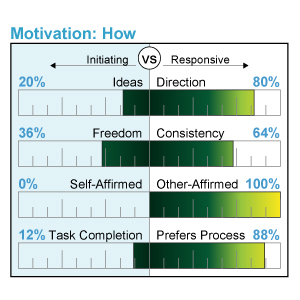 Your motivation style can be a deciding factor in the success or failure of a project, and knowing the ways motivation styles interact can help you achieve results faster. How: You’ve got your next assignment, now how do you go about tackling it? Would you rather have the freedom to approach a challenge however you like, or do you want a specific set of instructions to follow? Do you prefer the freedom of working at your own pace or do you appreciate regular feedback on your progress? Knowing what conditions let you and your team work best makes everyone’s work better. Your team’s been talking over options all day and it’s finally time to make a decision. Why do some people seem to be able to make a decision right away, while others require more time to consider the options? 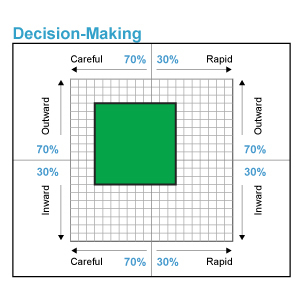 Knowing your team's Decision Making Style, as well as your own, allows you to understand the process each person needs to go through before they come to a decision. 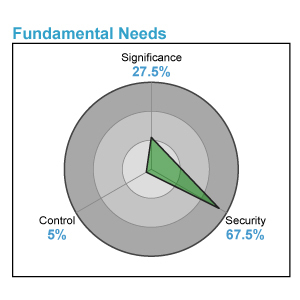 Your fundamental needs factor into every project you work on. If these needs aren’t met, it will affect your performance. Understanding your needs means you can make sure they are met, and give your full attention to the task at hand. 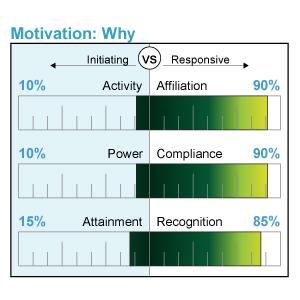 Additionally, it allows you to understand what motivates those around you and what drives their decisions. Conflicts arise on even the best of teams. How we manage that conflict is what determines our success or failure. 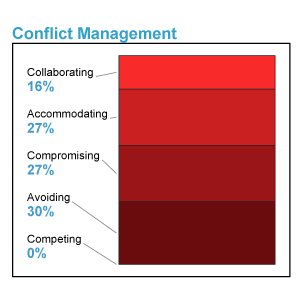 Wouldn’t it be helpful to understand the predominant conflict management style of yourself and those around you? Livstyle’s ability to overlay team members’ portraits and anticipate conflict management styles will allow the team to more efficiently work through issues. 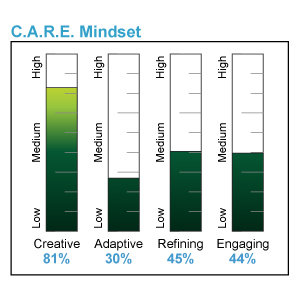 Your C.A.R.E. Mindset details how you think about the problems you’re facing. Do you come up with ideas that seem to come out of left field, or are you better at modifying existing plans and strategies to meet the current task? Perhaps you are best at spotting the potential problems and making detailed corrections, or maybe you just like to take a new idea run with it.